Home Arts, leisure and culture Heritage of Flight - Airfields of South Lincolnshire Personal stories Dalmatian spotted! It was only recent research into American involvement at RAF Barkston Heath that revealed that Major Jerry was in fact a dog - a handsome black and white Dalmatian. Father and son Terry and Mark Musson have spent many hours researching the airfield's past and it was Terry Musson's probing into a particular service number - Captain Jerry 0-13529713Z-K9, Hq 61st TC Op - that revealed that there was no such officer. Instead he was an American officer's dog, and one that clearly enjoyed promotion from Captain to his later title of Major! Indeed Major Jerry was no ordinary dog, but an international globe-trotting Forces pin-up, pictured in Life Magazine in September 1943 in Brazil with owner Colonel Frederick and described as 'the most popular mascot to pass through Natal', before the pair returned to North Africa. 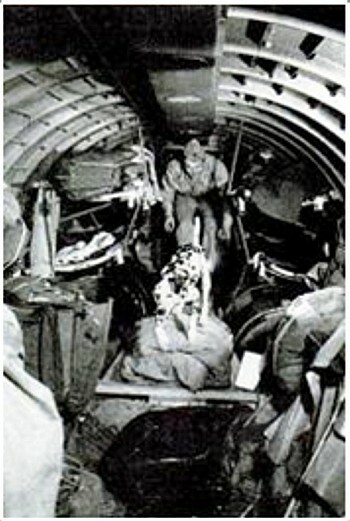 The caption confirmed that Jerry already had over 600 hours flying time, had been to Africa and 'all over the country' so he almost certainly crossed the Atlantic to Africa with his owner in May 1943 on the testing 12-day trip to England - and the Lincolnshire airfield that was to become the last home for both. 1. PAC in letter 1st Kennel Wing File No. 13 dated 25 January '44. is relieved from assignment to and duty with HQ 61st T.C. Gp. and is assigned to 14thT C Sq.